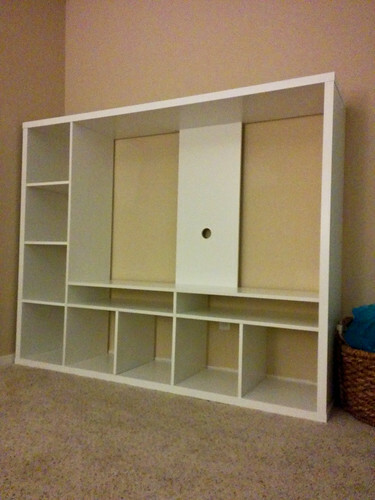 Although this may look like the natural set up for the Ikea LAPPLAND TV Unit (formerly EXPEDIT). It is not. 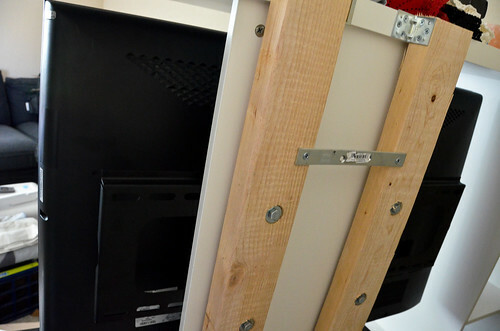 We reinforced the vertical cable-hider board to withstand the weight of our television. The final product is not rough-housing nor Earthquake-proof, but it is sort of key for holding all our entertainment-related products. 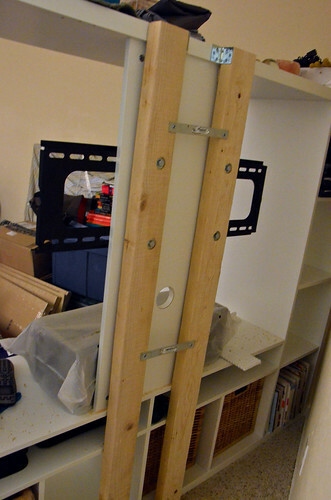 We loosely followed the Ikea Hackers- TV Storage Unit with Integrated Reinforced Television Mount tutorial for our Ikea Lappland (formerly Expedit) TV mount. We used the Amazon - Mount-It! 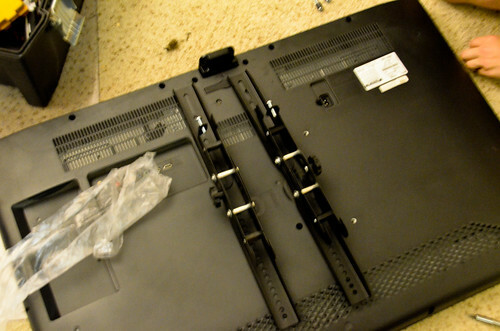 MI-303B Premium Tilting TV Wall Mount Bracket for 32 - 60 inch LCD and so far, so good! 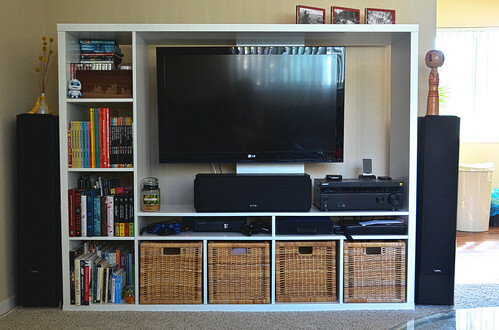 This is the Ikea LAPPLAND TV Unit. 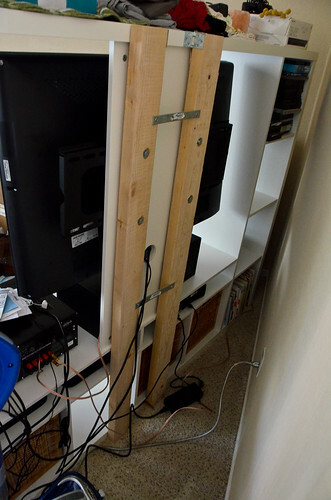 Despite looking like it, you cannot mount your TV to that middle backboard there. 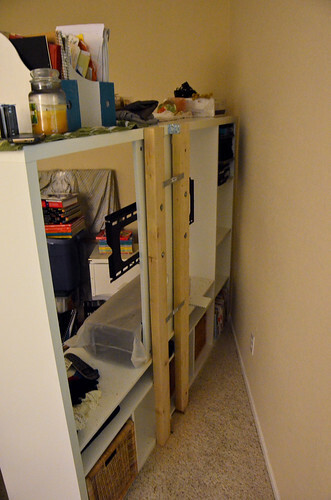 The particle board is not strong enough, but if you reinforce it with 2x 5' lumber, a couple L-brackets, and some pretty hefty nuts & bolts...you can. Is this an OCD Test? I passed... or failed. Either way, it made me crazy! Anonymous, it's off-centered within the Lappland unit, so that it can be centered with the sofa. Because of that shelf on the left hand side of the Lappland, the TV is actually centered within the *whole* unit, just not on that thin vertical board that cuts down the large square.